Kingston offers stunning all new home designs tucked away in Wake Forest, a town that maintains its small-town character, yet offers an abundance of shopping and restaurants. The desirable location of Kingston on Thompson Mill is just minutes from I-540, the Research Triangle Park, and Raleigh-Durham International Airport. If home is where the heart is, then you’ll find yours at Kingston! 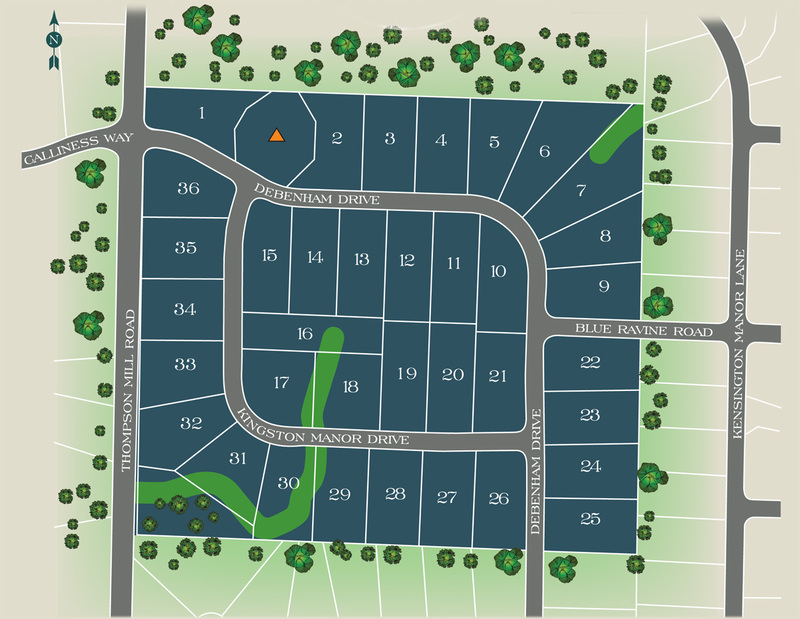 This beautiful custom home community offers everything you look for: superior quality, convenience, and numerous popular features. The wide variety of home plans and architectural styles allows you to choose a design that matches you with your dream home. Let’s get started! 2,400 – 3,700 sq. ft.
Building for more new homes for more than 20 years in the Triangle, Mike Jordan hand-picks his team of talented individuals—from tradesmen to support staff. Jordan’s vision for his company hinges on the understanding that with a large builder, sometimes an individual gets lost in the process. We don’t let that happen. Choose Your New Home Site! From Raleigh, take Capital Blvd North; take Hwy NC-98 west; take a Right on Thompson Mill Road; follow Thompson Mill Rd to Debenham Drive, make a Right into the community.